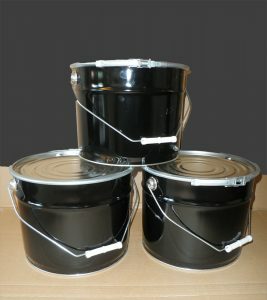 H&O are pleased to announce a new addition to our range – we now stock 10/11 litre metal pails. These pails are excellent for storage and transport of liquids, powders and solids. The pails come complete with a metal lid and fastening ring for secure storage and are fitted with a metal handle. The exterior of the product is black while the inside is plain. We’re able to supply this product in quantities of 120 units upwards and, as usual, are able to offer a more competitive price on larger order sizes. These pails are heavy duty and are built to last. To find out more and view pricing, please click here.